Today we will learn about milling machine operation. We have discussed about main parts and types of milling machine is my last post and know that milling is a most versatile machine used in mechanical industries. It can perform turning, facing, slot cutting, chamfering etc. to convert the work piece into desire shape. It can machine on both symmetrical and non symmetrical work piece. 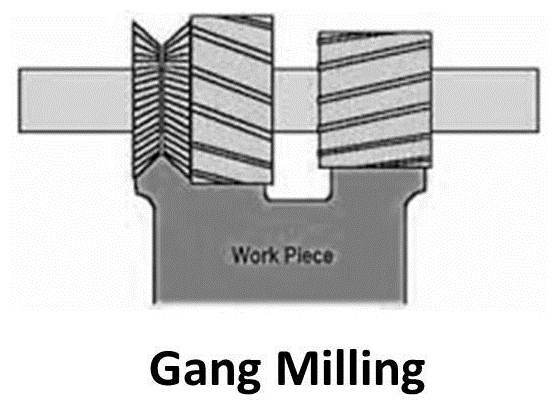 The various operation performed by milling machine are described below. 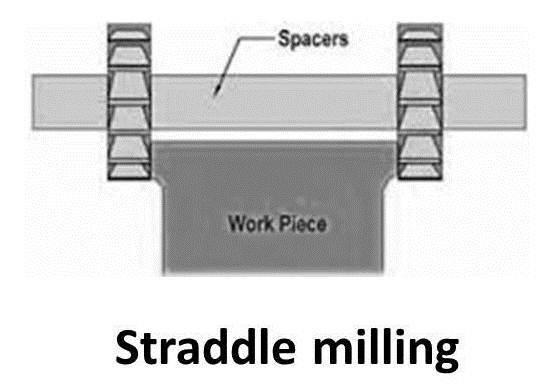 As we know that milling can perform various operations to convert the work piece into desire shape. It is a very useful machine and mostly used in die making industries. The most popular operation done on milling machine is described below. As the name implies, this operation used to get place surface. 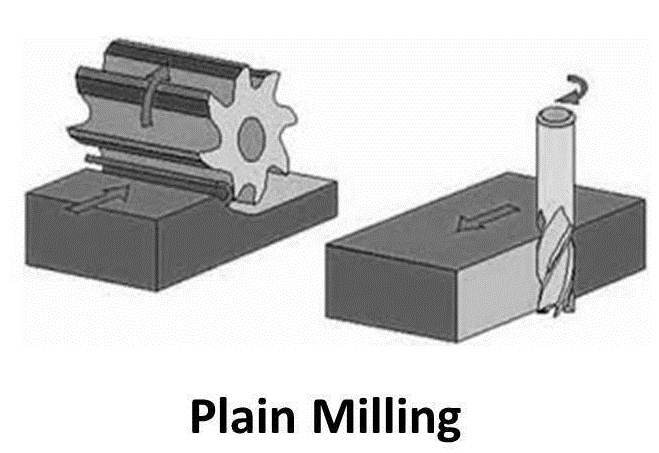 In this milling, the cutting tool axis is parallel to the machining surface or the face of the machining surface. This operation is very common and done on almost all jobs. This can be carried out on every milling machine. This operation is also used to get plain surface. In this operation, the cutting tool axis is perpendicular to the machining surface or the face of the machining surface. 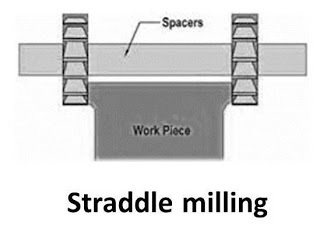 It is also used to slot cutting on the milling axis. 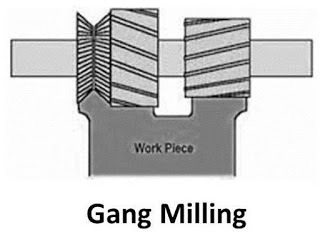 As the name is gang, in this milling operation more than one milling cutters are used to machining. It is a horizontal milling operation, more than one cutter with different shape and sizes are fixed at the arbor, which cut the desire shape in one pass. This milling operation can save most of time of milling. In this operation, two or more parallel vertical surface machined in a single pass. In this milling the work piece is situated between the two cutters which can machined the surface vertically. The cutter are fixed on the same arbor and cut the metal in one pass. 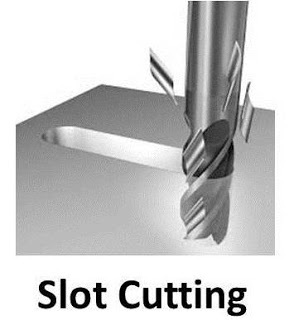 In this operation slots are cut by a cutter on the work piece. The slots are in various shapes like circular, rectangular etc. and sizes according to the requirement. 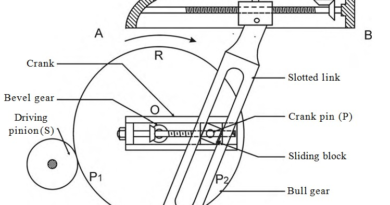 In this operation, surfaces which are at an angle to the axis of the cutter, is machined by the rotary cutter. Milling machine can perform all other common operations like turning, facing, fillet making, chamfering, drilling, gear cutting, planning, slot cutting etc. 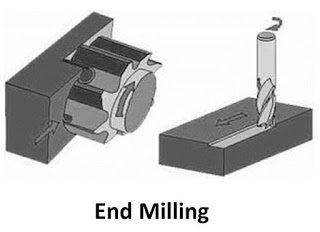 These are all main milling machine operation. If you have any query, ask by commenting. Thanks for reading it.